You’ve likely heard of the Porsche 911 GT3, right? The stripped-out, ultra-focused version of Porsche’s already capable 911? Accompanied by a price in excess of £100,000 (as well as waiting list stretching far into the future), it’s a car few will ever be able to purchase. So Porsche has applied the same measures to its base 911 Carrera to create this – the Carrera T. It’s lighter and more exclusive than Porsche’s entry-level 911, but costs close to £25,000 less than the range-topping GT3. 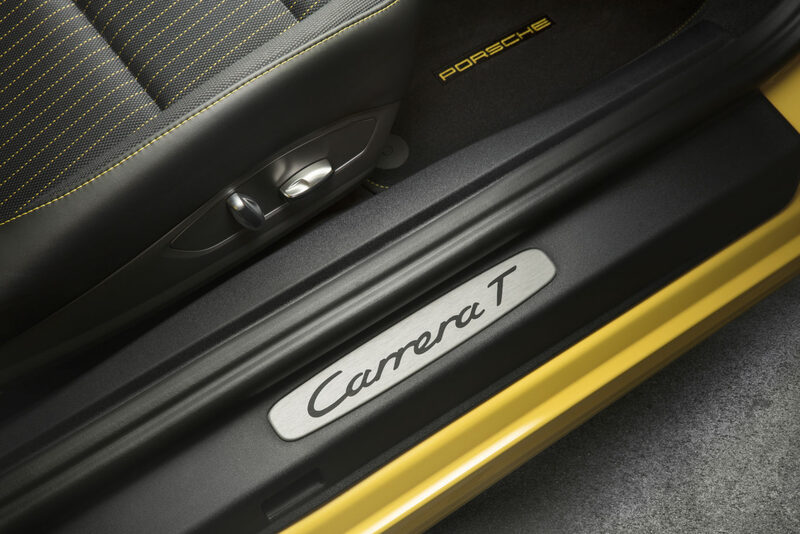 The Carrera T boasts no additional power nor torque over the regular Carrera, but what it does offer is lightness. The rear seats have been removed, for one – while the glass used for the windows and windscreen is thinner. There’s less in the way of sound deadening, too. Interestingly enough though the rear seats have been removed along with the air conditioning and infotainment system, these can be added back in for no extra cost. 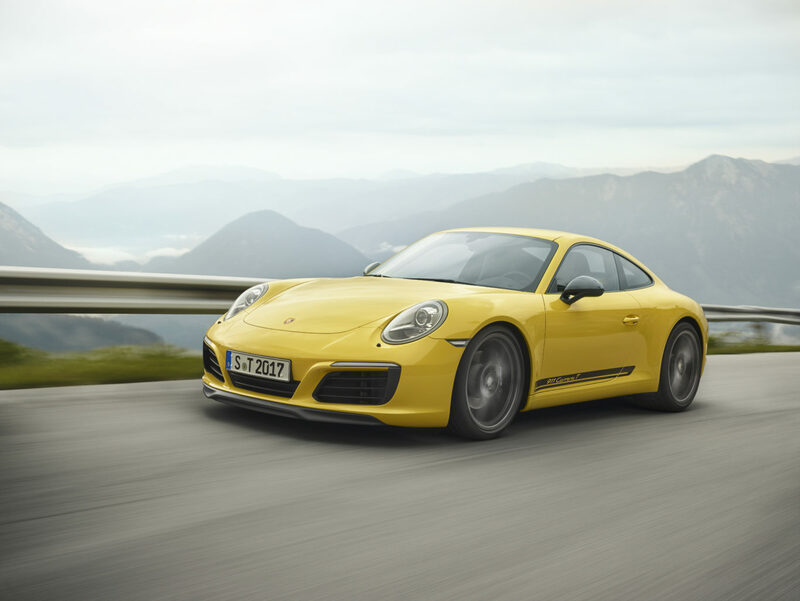 Only a few kilos have been dropped compared to the standard 911, though Porsche says it’s a 20kg weight saving over a similarly equipped model. And yet, though many things have been removed, the T costs over £7,500 more than the regular Carrera, despite no discernable boost in power. As is the Porsche tradition, you’re being charged more for, well, less. 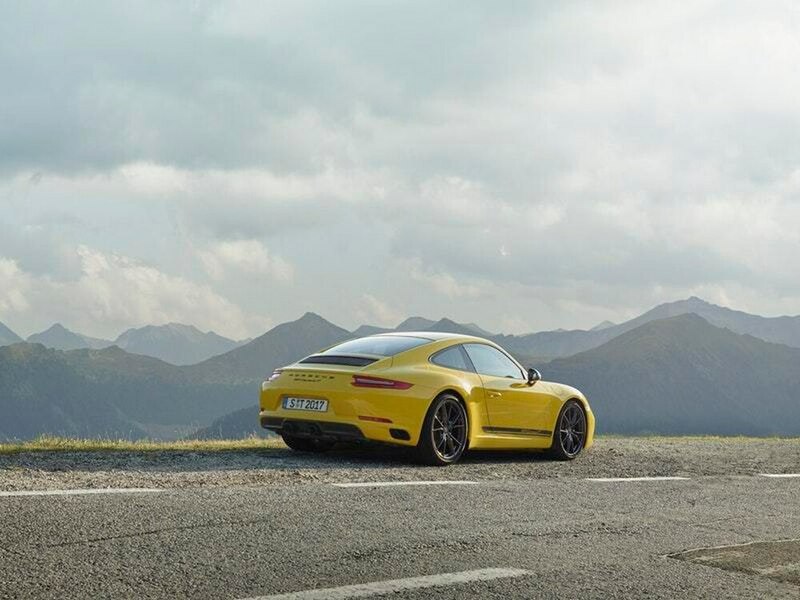 The Carrera T gets the same turbocharged flat-six as you’ll find in the base car, and, just as it does in that car, it produces 365bhp and 450Nm of torque. Hitting 60mph takes a respectable 4.3 seconds, while all-in you’ll be doing 182mph. Here, power is sent to the rear wheels through a seven-speed manual gearbox, and Porsche claims decent economy figures too – it’ll return a claimed 29.7mpg combined, while emissions of 215g/km CO2 are reasonable enough for a car of this type. Our test car had its performance repertoire bolstered with the addition of Porsche’s Ceramic Composite Brakes (a £6,018 option), while active suspension management with a ride height dropped by 20mm over the regular Carrera featured as standard. A sports exhaust comes as part of the Carrera T’s basic price too, and this does add to the car’s overall character a great deal. The regular Carrera is a well-sorted, impeccably balanced sports car, and to elevate this without radically changing the mechanicals or the power output is a tricky task indeed. It’s why the Carrera T feels, in truth, pretty much the same as the base car. That’s no bad thing at all; it’s still effortlessly engaging, capable on a day-to-day basis and so beautifully damped for UK roads it feels at home on almost any surface. The steering has been expertly judged, and it sounds good for a turbocharged motor – even if it lacks the distinct character of the old naturally-aspirated unit. 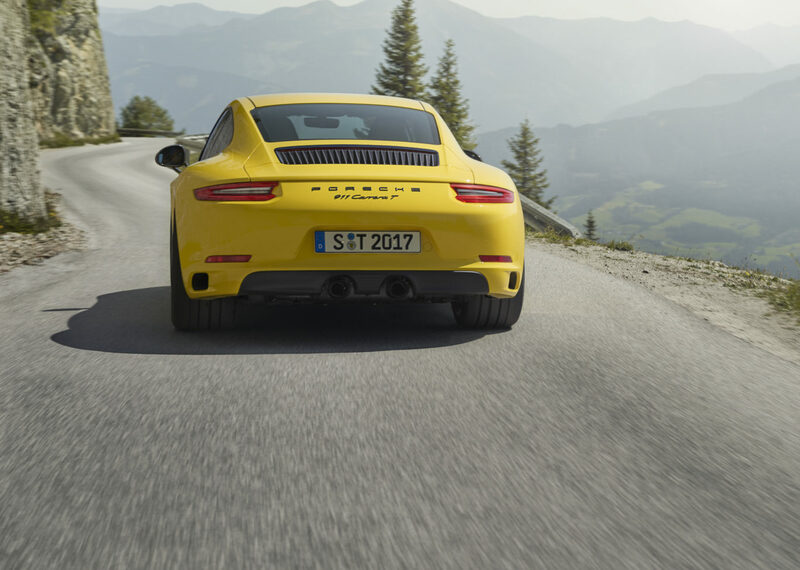 The removal of the rear seats and extra sound deadening does mean that the Carrera T isn’t as relaxing to drive on the motorway – it’s downright loud, in fact – which may be something worth considering if you’re planning on taking your 911 on longer jaunts. Yes, the current-generation 911 may look a lot like the previous incarnation, and the one before that – but you can’t fault it for the way it turns heads without being overly flash. Many have criticised Porsche for its slow evolution of the 911’s styling, but we think it just gets better with each new generation. 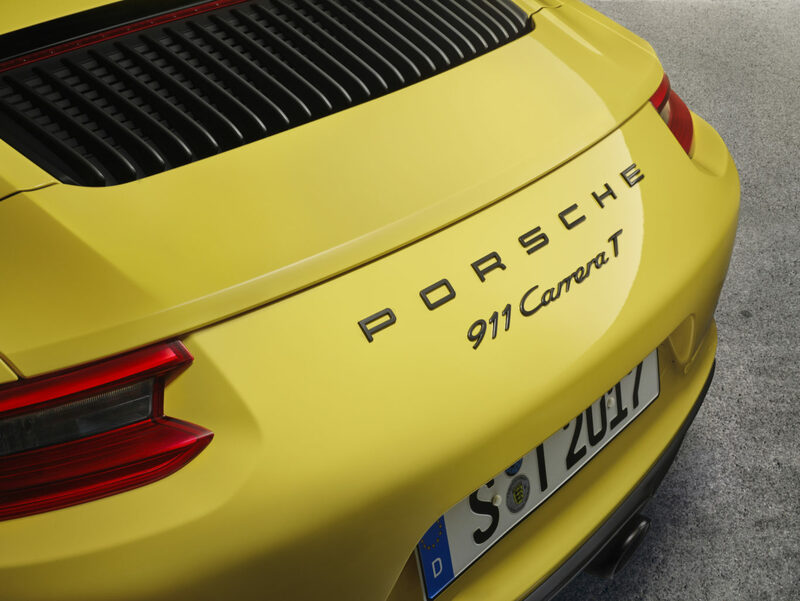 The Carrera T gains additional badging down the flanks, and it gets the electrical rear spoiler for added drama. It may not have the wings, flared arches and huge intakes of its RS stablemates but it’s still a supremely classy looking package. You won’t find all that much ‘new’ tech when inside the cabin of the Carrera T; Porsche’s infotainment system is present and correct, but save for that there’s very little to prod, nor buttons to press. But here’s the kicker – it’s all the better for it. 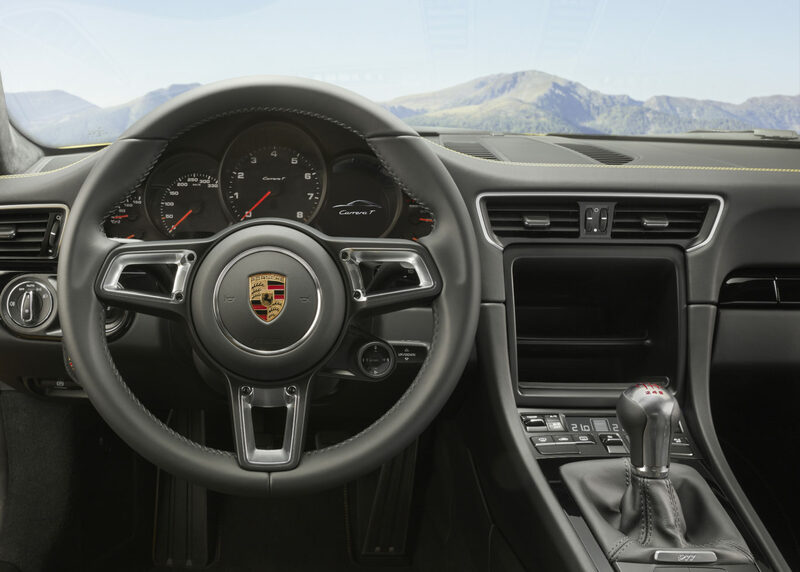 You see, the whole point of the Carrera – or indeed any Porsche for that matter – is to be driven, and the lack of any additional tech makes for a driver-focused cabin and one which you feel at home in almost immediately. The spot-on driving position makes damn sure that you’re in the perfect place to pilot the car, while the steering wheel has plenty of adjustment in it too. The fabric seats are supportive without being over-firm, while everything inside the cabin is so brilliantly solid that you feel it’ll outlast other similarly-priced cars by some margin. There’s plenty of kit included for the Carrera T’s base £85,576 price, including heated front sports seats with four-way electric adjustment and Porsche’s own infotainment system which houses satellite navigation and media functions, along with Apple CarPlay – which works brilliantly well in this case. Full LED headlights are an optional extra on our test car but provide excellent visibility at night, while the high-definition 4.6-inch screen housed in the right instrument binnacle ahead of the driver makes viewing certain functions such as the mapping or engine readouts a breeze when on the move. The Carrera T makes for a rather compelling package. It’s quick, good to look at and feels special too. Is it different enough to a normal Carrera to warrant a close to £7,700 premium over the regular car? Just. The lack of rear seats and general lightweight nature of the car do make it feel special, though the reduction in the amount of soundproofing does make it less adept at long-distance driving. We’d argue that the Carrera T is best specced with as few optional extras as possible though; this is meant to be a stripped-back driving experience after all.